Viceroy Anguilla, one of the most notable resorts in the Caribbean, presents discerning travelers with the best of both worlds this fall: a chance to keep warm with refreshing, low room rates. 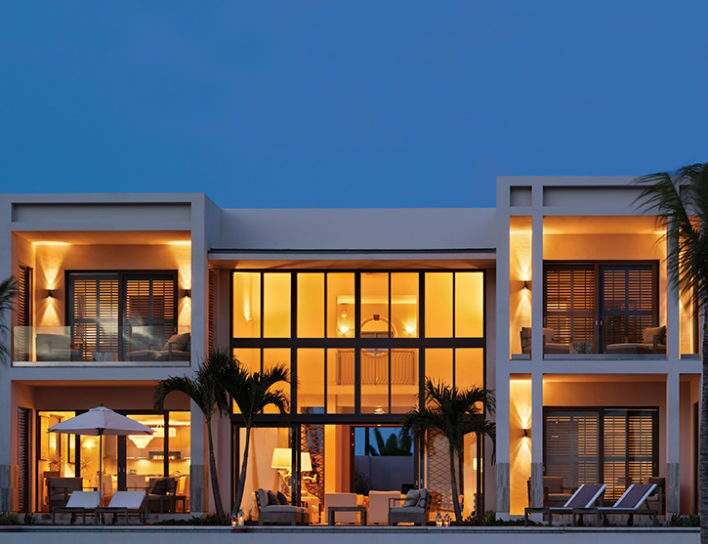 The serene property, located on the stunning island of Anguilla, announces a new Hot Nights/Cool Rates promotion, which features the third night free during any three-night stay from October 5-December 20, 2012. Situated on 35 lush acres, with 3,200 feet of beachfront land along Barnes and Meads Bays, Viceroy Anguilla offers contemporary beachfront and blufftop villas, sophisticated townhomes or lavish resort residences for all types of guests. Renowned for its remarkable design, superb location and exceptional amenities – including the island’s finest dining, rooms with private sundecks and plunge pools, villas with full kitchens and access to butler service, and residences with infinity pools – the resort draws jet-setting travelers from all over the world. Before the festive season commences, Viceroy Anguilla guests can enjoy this resort’s unique blend of modern glamour with a tropical oasis backdrop at a reasonable price. Rates start at $395 a night.